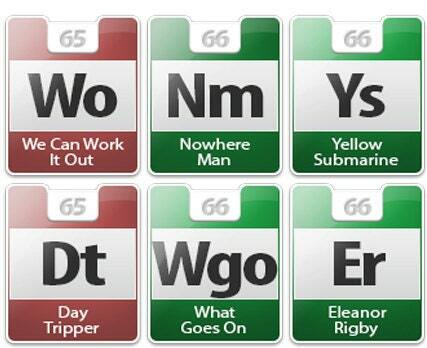 The Beatles Discograpy in the style of a Periodic Table poster. 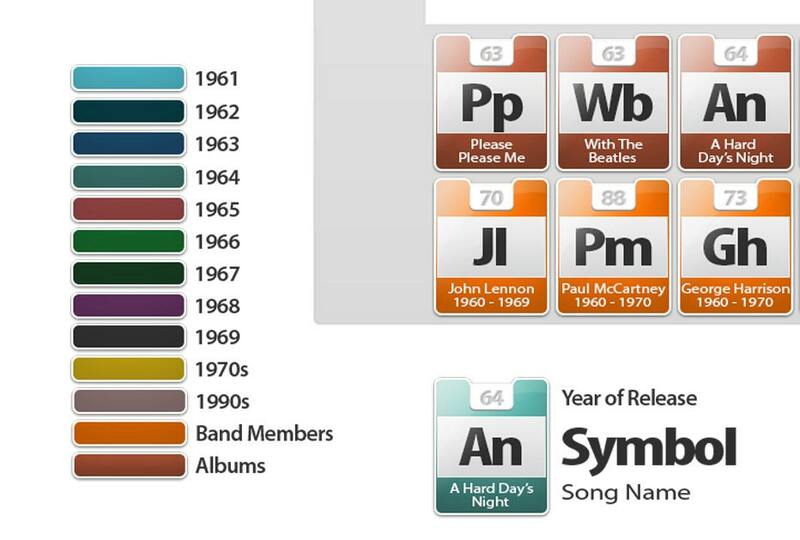 A detailed periodic table of the history of The Beatles. The songs, the albums and band members. Each Atomic section is labelled with a song and release year. 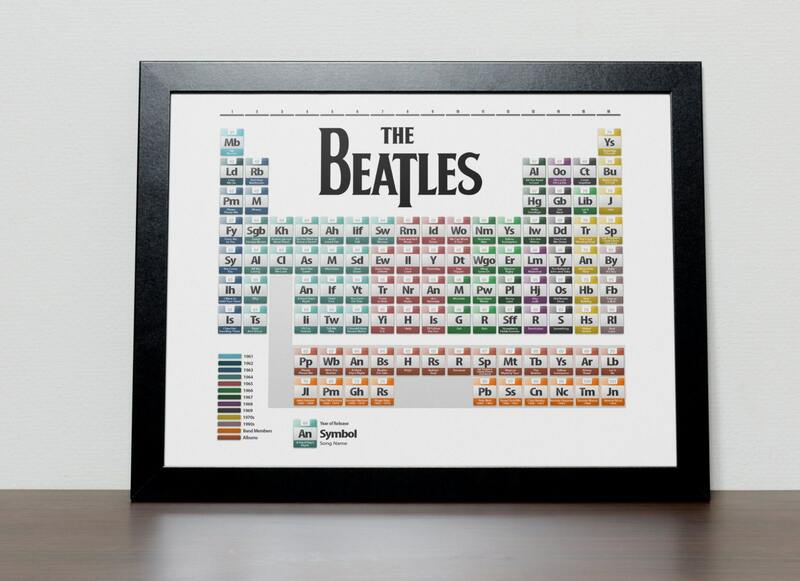 A perfect gift for The Beatles enthusiast. It was small and a little blurry. Looked cheap.